Rugby Union / Looking back, looking forward – Where do the Red Roses stand? Looking back, looking forward – Where do the Red Roses stand? England women’s rugby is now entering its most decisive phase for many a long year. 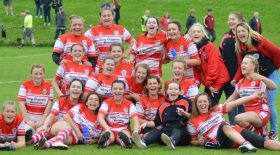 We are halfway through the three-year project that is the Tyrrells Premier 15s League. And in precisely five weeks we are promised the names of the 28 players who will be offered full-time professional contracts. The RFU wisely opted to give its new not-quite–professional elite league a limited run to assess its success and make important decisions about the wisest route forward. Every player who has had experience of life in the old Premiership is certain of the advances the new set-up has brought. But serious problems persist. The players themselves remain amateurs, though given professional support. It seems highly unlikely that that position would change after next year’s competition. And the vexed question of promotion-relegation has to be solved. Poisoned words were spoken and written about the initial choice of clubs to participate in the new league. What will happen in the season 2020-2021? Will the same ten clubs be readmitted? Will they all apply for re-admission? Will the top clubs in the next tier be invited to apply? Will the RFU opt for a closed shop, as certain men’s clubs want for their version of the elite division? Slowly, ever so slowly, the gaps in the different tiers of the women’s game are narrowing – at international and club level. But they remain too wide for comfort. As the Tyrrells reaches its halfway stage, the disparities in playing strength between the top and bottom of the league remain obvious. They could only be removed by compulsory moves like the American system of the draft, where the best new (College) player can be selected by the team finishing bottom. Under English skies that seems unthinkable. Predicting who will be the lucky recipients of the 28 contracts on offer from the RFU is a mug’s game – there are so many imponderables to consider. Which, if any, of the players now enjoying 7s contracts are minded to switch to 15s? Which contenders are unwilling to forsake their current job for a contract? When, if ever, will the list of contracted players be revised in the run-up to the New Zealand World Cup in 2021? This gave a total of no fewer than 54 players. The system has been greatly simplified for today’s requirements, but massive problems survive. Simon Middleton and his co-selectors are having to make their decisions without the full facts staring them in the face. Let’s assume that several of the 7s squad will be short-odds favourites to get the nod, but they haven’t played a game of 15s since the summer of 2017. Their potential is both formidable and well-known. 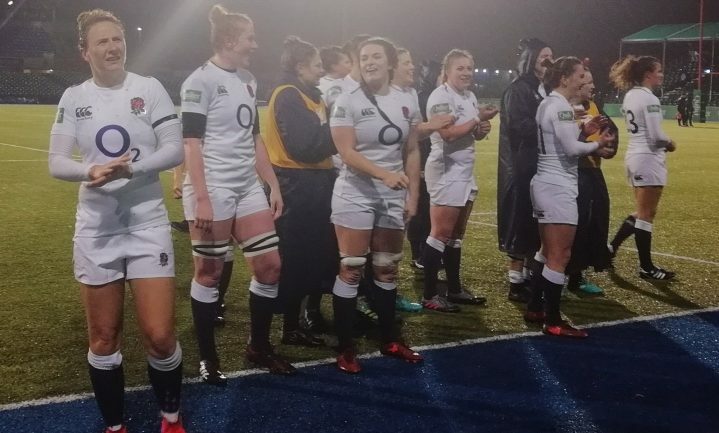 Is it possible that the new faces that have come to prominence via the Quilter series will be able to pit their forces directly against familiar names like Mo Hunt, Alex Matthews and Emily Scarratt to produce a justifiable pecking order? It seems most unlikely. The recent Quilters squad was some way short of full strength: no Amber Reed, no Sarah Bern, no Lagi Tuima, no Amy Cokayne. And in the longer term, no Harriet Millar-Mills or Laura Keates. All of these, bar Tuima, are familiar with the stresses and strains of a World Cup challenge. The selectors are having to choose between the evidence before their eyes on the field and the known strengths of players they haven’t had at their disposal for a year and a half. Take for example the back row. The World Cup final trio in August 2017 was Matthews, Packer and Hunter. You could hardly imagine better. Since then their immediate replacement Millar-Mills has been out of action with a long-term injury and won’t be available this season; Matthews, a 7s player, has had to be replaced; Poppy Cleall was drafted in at a late hour to the World Cup squad: there and since, she has played No 6, No 8, lock and even front row; the two Browns, Joanna and Shaunagh, have been given a run. The latter looked the real deal last year and this, but she now finds herself being switched to No 3. Will she prove superior to Sarah Bern and Hannah Botterman or will she remain a back-up? Or will Keates return to glory there? Or again, will the selectors have third thoughts and return Brown to No 6 where she has performed so strongly this season? Next point: future World Cup squads will consist of 30 players. There are only 28 full-time contracts on offer. Perhaps the RFU is searching in its back pocket for the pennies to afford those two extra contracts. Otherwise, there will be an unhappy imbalance between players. That brings us to the seven EPS agreements on offer. In the past, these were given to players just below the very top rank, who could be called up when needed. But with the switch to professionalism they are more likely to be awarded to players deemed worthy of a full contract, but who wish to retain their current employ. This must be a furiously difficult decision for many of them. Then imagine eight first-choice players all deciding they want to stick to their daytime jobs: will the RFU adjust that total of 7, or will England have to leave a first-choice player without financial support because of these numerical restrictions? We know what the sensible answer must be. The practical differences between the two categories will be huge. The 28 will be based as usual at Bisham Abbey, where they can concentrate fully on the game. The 7 on the EPS agreement will be at work (or study) and available only as and when for combined training sessions. Not ideal. No changes between now and then? Then the question that hangs over the whole issue: what happens when the management needs to alter the make-up of the squad? The names of the contracted players will be announced, we are told, on the first day of next year. That leaves a huge span of time before the 2021 World Cup kicks off in New Zealand, to be filled with the 6 Nations programmes of 2019, 2020 and 2021, plus all the additional matches that will intervene. We have only to think back across a similar span of time to 2015 to realise how fundamentally the make-up of the elite squad can and will change. Surely, these contracts can’t be turned on and off like the cold tap. How many players can be sure of returning straight to their old job if the axe falls on their contract? Everyone knew that professionalism would bring a heap of immense problems in its wake. Men’s rugby turned pro in 1995: there is still strident debate about the best way of dealing with it. Although professional women’s rugby is restricted to the highest echelons for the foreseeable future, there is no one simple path to success and happiness. The other major nations are contemplating the various possibilities. But for most Women’s Unions around the world the goal at the end of the rainbow is the Olympics. But that is another ball-game.